Join us for a monster-themed story time! 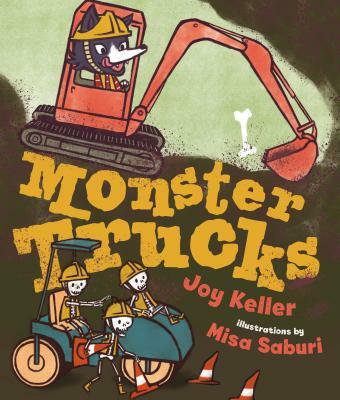 Today's selection will be Monster Trucks by Joy Keller. Monsters get to work - paving roads, plowing snow, hauling muck - with their monster trucks in this fun, rhyming picture book. With a gentle bedtime ending, this not-too-scary story is perfect for young monster and truck lovers. Do some coloring, listen to Monster Trucks, and create a monster craft. Please arrive promptly at the start time to enjoy all that is being offered.